I hit a mental wall around 3:30 this afternoon. Thankfully, that was about the same time that my last conference call had ended. This week, the workdays have started around 5 AM with conference calls. That’s the perk of working for an international organization, on a project with stakeholders in practically every single time zone. I always keep in mind that these calls could be even earlier. I should take more of them but, the work! 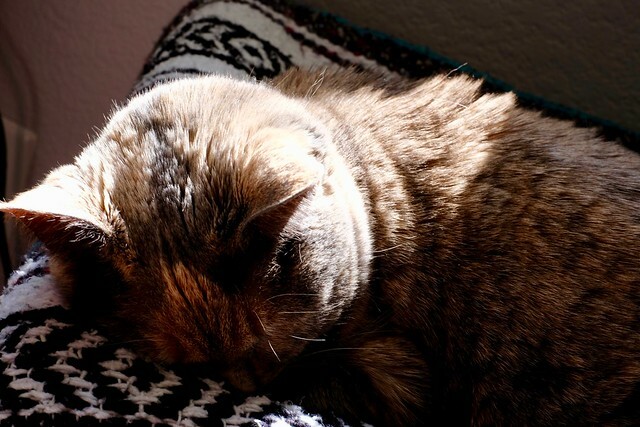 So, here we are at the end of the workweek and all I really want to do is what my cat (pictured above) does while I work… I just want to curl up and sleep!